LUCKNOW: An Apple executive was allegedly shot in the head in Lucknow. Vivek Tiwari, who worked with American multinational company, was killed by trigger-happy policemen after he didn't stop the car. Tiwari was returning home at night. A woman was also travelling with him in the car. Two motorcycle-borne policemen asked him to stop though it is not clear why they intercepted his car. Tiwari's companion later said that as it was night and he was worried about her safety, not knowing who wanted the car to halt, he kept driving. However, one of the policemen shot at him. The bullet hit him in the head. For a few moments he drove on, until the car hit a pole. The two policemen left the spot. Later, officials arrived and took him to hospital where he died. 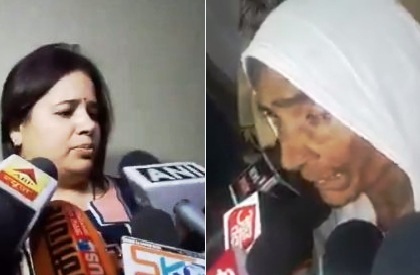 Tiwari's wife Kalpana has said that her husband was killed in cold-blood. She asked what was her husband's crime that he was shot dead. "If there was anything suspicious, he could have been booked or later questioned but who gave them the right to murder", she said. Only recently, Mustqeem and Naushad were killed in Aligarh. In that case, police allegedly called media persons to watch the encounter. The victims' kin said that the police had picked them up and kept them in illegal detention for days, before murdering them. Trigger happy cops have been given a free run by the BJP government and they have been shooting people across UP. Yogi Adityanath government has faced criticism over the killings. However, most of the victims were either Muslims or belonged to Dalit-Backward castes.